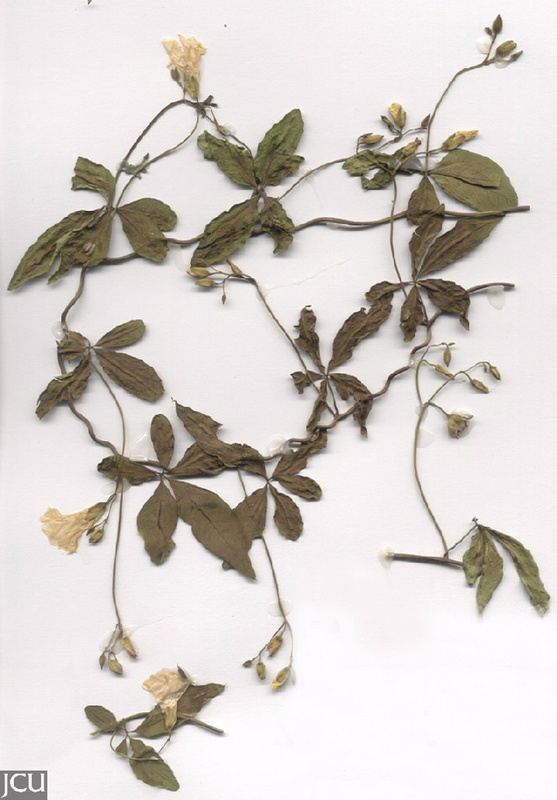 Leaves with 5-9 digitately arranged leaflets, margins entire or with small indentations. 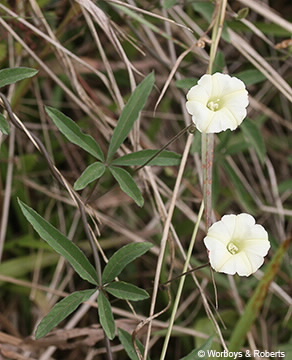 Flowers tubular, corolla white or pale yellow to about 1.5 cm diameter. Fruit a papery capsule, persistent sepals to 2.5 cm diameter.